MONTREAL – Montreal Canadiens general manager Marc Bergevin announced on Thursday the acquisition of right winger Max Friberg from the Anaheim Ducks, in return for goaltender Dustin Tokarski. He will join the IceCaps in St. John’s. 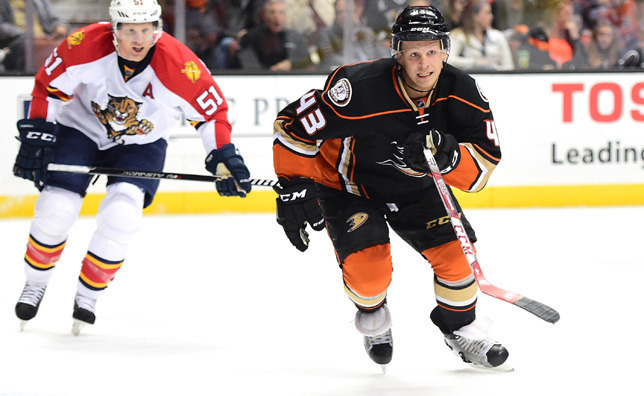 Friberg, 23, has served two penalty minutes in six career NHL games with the Ducks. He has added 17 points (5 goals, 12 assists) in 25 games with the AHL’s San Diego Gulls thus far this season. The 5’11’’ and 200 lb left winger has collected 98 points (38 goals, 60 assists) and 105 penalty minutes in 169 career games in the American Hockey League. On the international stage, Friberg helped Sweden capture the gold medal at the 2012 World Junior Championship (in Calgary and Edmonton). He led the tournament with nine goals and led his team with 11 points (tied for second among tournament point leaders), and was named to the tournament all-star team. A native of Skovde, Sweden, Friberg was the Ducks’ fifth round selection, 143rd overall, at the 2011 NHL Entry Draft. Dustin Tokarski, 26, had a 1-3-0 record in six games with the Canadiens, along with a 3.19 goals against average and a .878 save percentage. He showed a 3-3-4 record in 10 games with the AHL’s St. John’s IceCaps. The Watson, Saskatchewan native was acquired by the Canadiens from the Tampa Bay Lightning in return for Cédrick Desjardins on February 14, 2013.